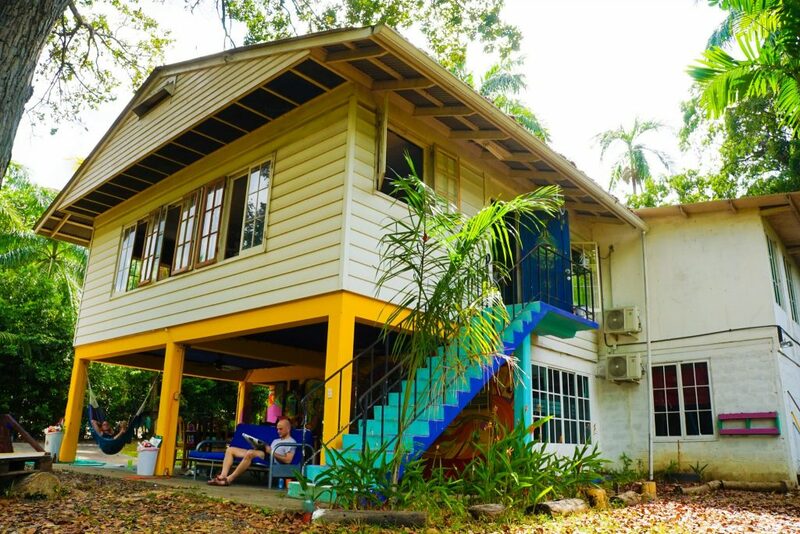 Things You Should Know Before You Book Casa Nativa Hostel in Panama: A Full Review! 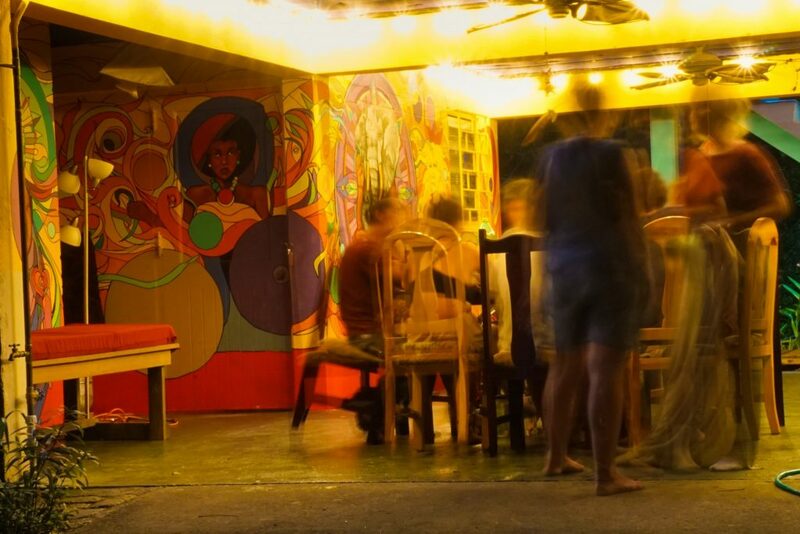 Looking for a relaxed, easy-going hostel to escape to during your stay in the chaotic Panamanian Metropolis? Want to enjoy a quiet, leafy suburb teaming with wildlife while having easy access to the main attractions with public transport? 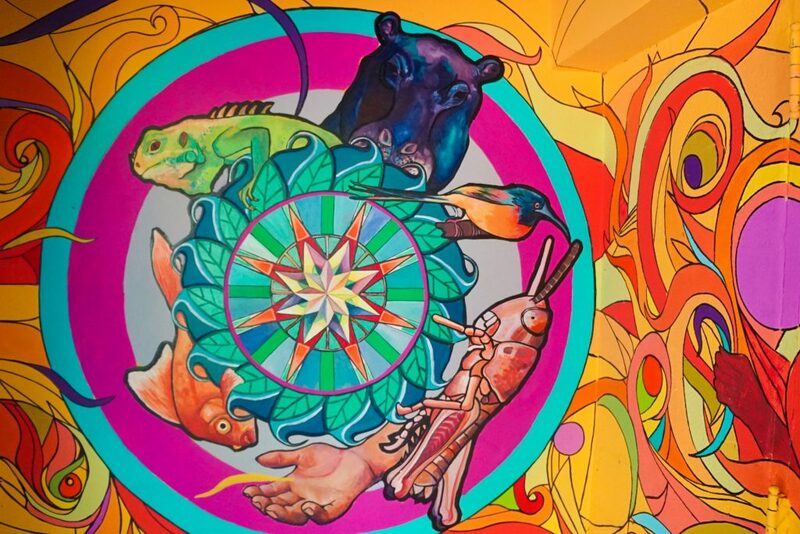 Well, then you have to check out Casa Nativa Hostel Panama City – a spacious, creative hostel filled with interesting travellers, beautiful artwork and ample places to relax and unwind! Just don’t forget everything you need to pack for a hostel stay! See the best prices for booking Casa Nativa Hostel today or compare availability across multiple sites for later! 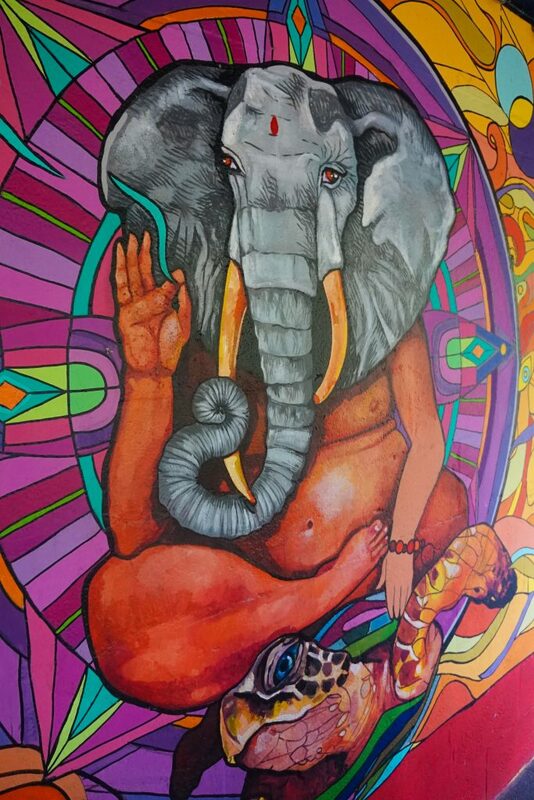 I recently enjoyed a 7 day stay here at Casa Nativa Hostel Panama City and only have good things to say. 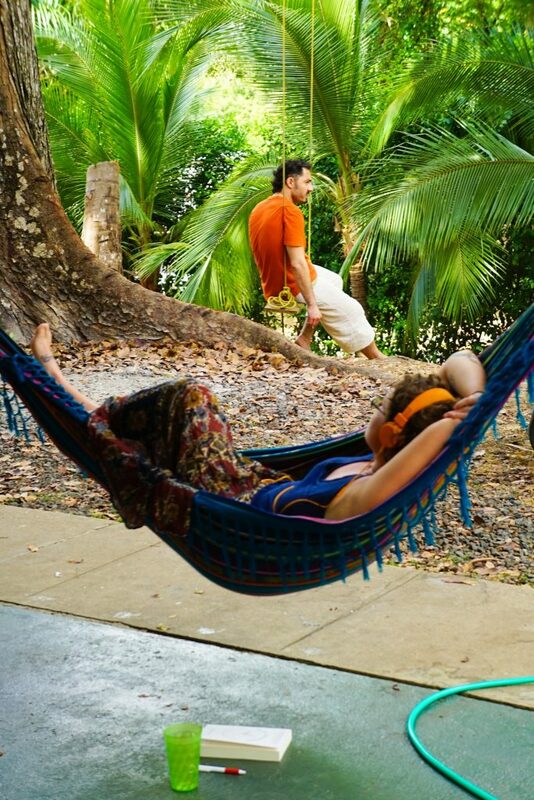 After 6 months in South America and a rather hellish commute to Panama via the San Blas Islands the warm smiles and comfortable beds that greeted me at Casa Nativa were a welcome relief. 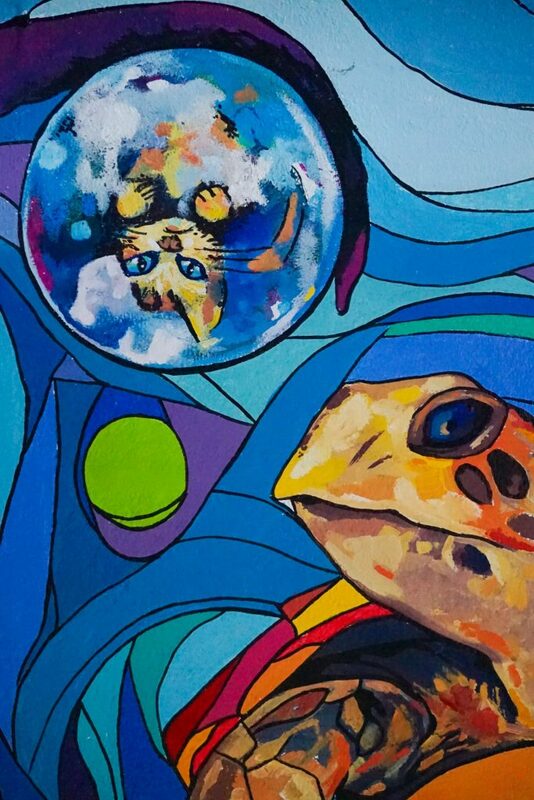 So, do you think it would be suited for your stay in Panama City? Whether you want to stay a night or a month, read on for my in-depth review on the buildings, facilities, people and area to find out if Casa Nativa is right for you. Casa Nativa is a two story spacious house set on a lush, green plot. This is not one of your pokey little hostel squeezed into a second-floor building on a side alley of a dodgy neighborhood! No…Casa Nativa is big, but not too big – having large living rooms, eight bathrooms, three ‘hanging out spaces’ and plenty of room to spread your luggage across the dorm. 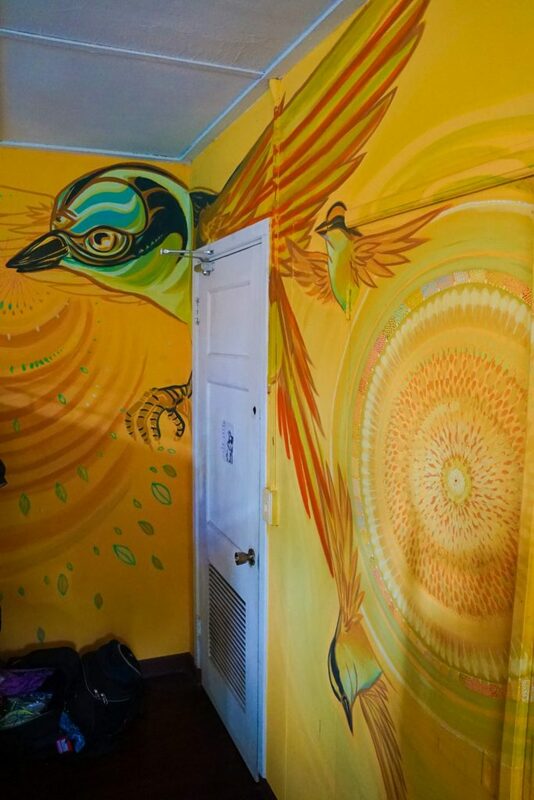 A two-story residential house now converted into a hip-and-vibing urban retreat there is original artwork covering both inside at out – it’s like going on your own street art tour without leaving the property. There are seven rooms available, six dorms (two with private bathrooms) and one private room. 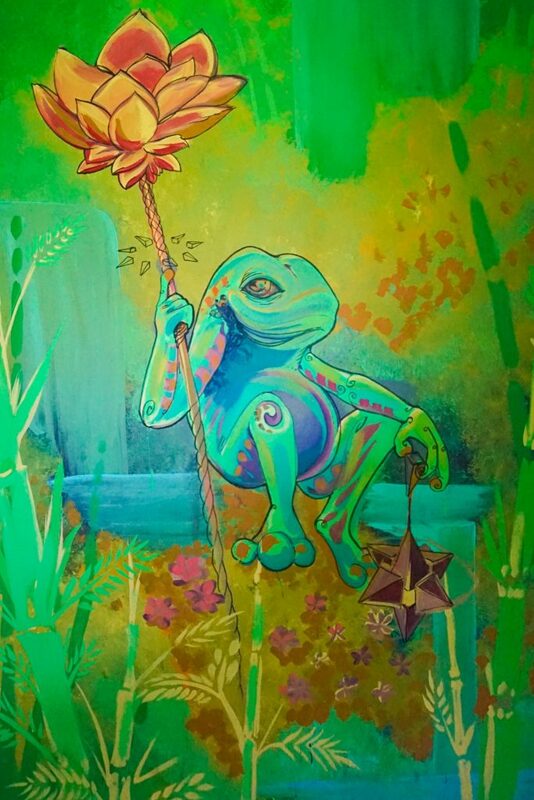 Each rooms has a different theme and vibe which is great due to the artwork on display, so the yellow bird room is bright and energizing, while the green frog room leaves you relaxed and slightly psychedelic. Casa Nativa’s vibe lends itself to a relaxing stay – and tempts you into staying much, much longer. Of course in this case you can sleep easy knowing the facilities here are also just as good. My personal favourite is the free high-speed internet available everywhere in and outside of the house. 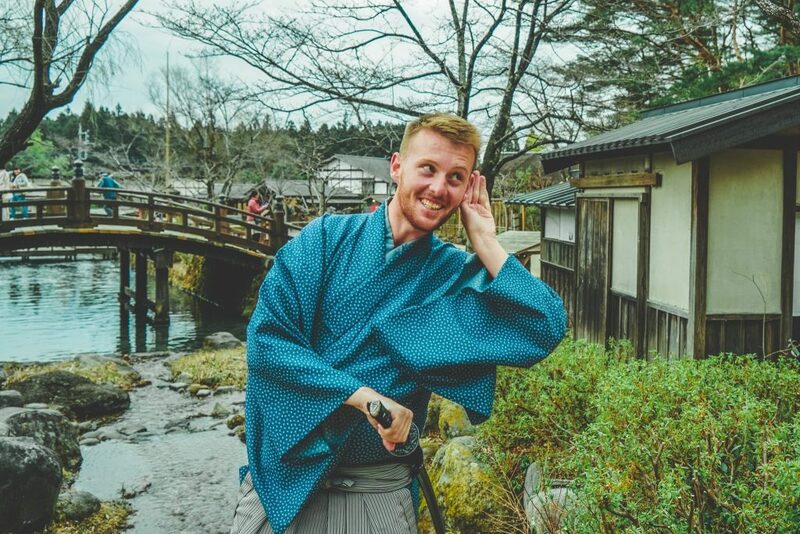 Seriously, it is fast – so if your coming from South or Central America you can finally have a chilled place to catch up on Skype and travel planning! There is also air-conditioning in every room from 9pm to 9am and ample, high power fans placed around the building and rooms to ensure you are always comfortable. 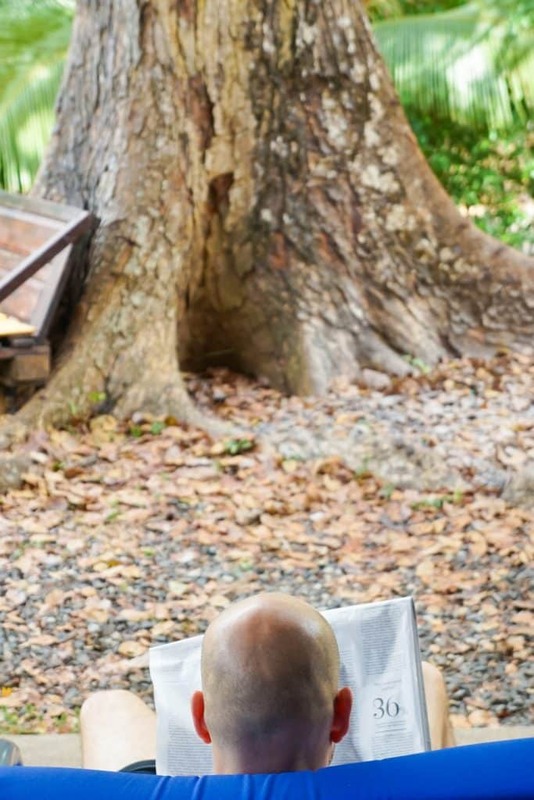 There is a 24hr reception so you don’t have to worry about arriving at weird hours and always have some one to bug when you cannot figure out where you are trying to go. 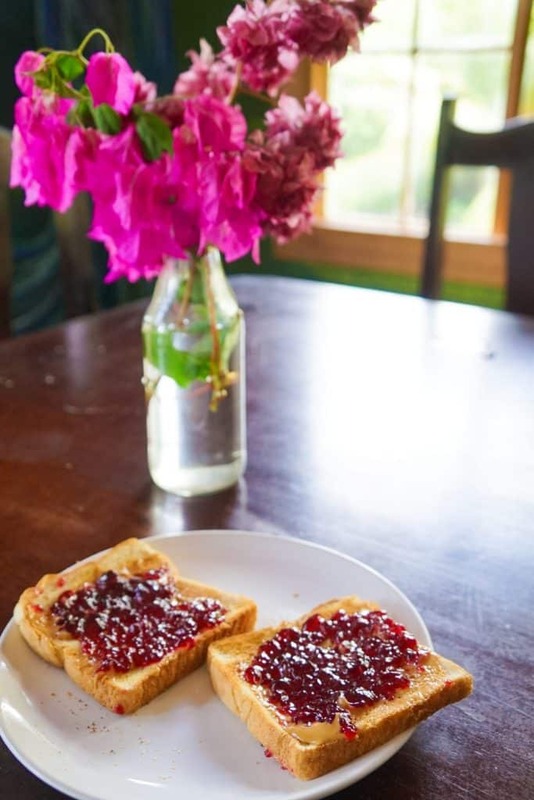 Everyday there is a free self-served breakfast of toast with peanut butter and jelly, cereals, tea and really good coffee. I had forgotten how much I missed PB+J and looked forward to it every morning! 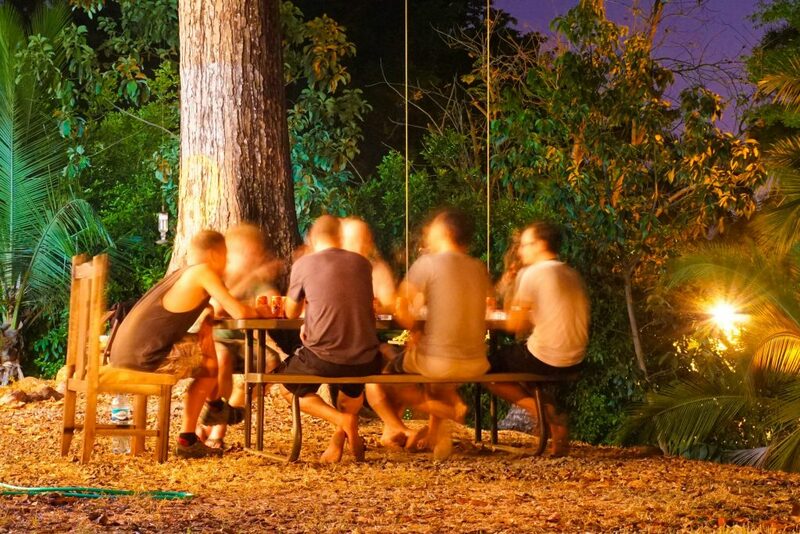 There was also not one, but two, well-equipt kitchens where you can cook up a storm – Casa Nativa also organizes weekly group dinners where everyone contributes some money then cooks and eats together, which I would recommend you try to do! For long-term travellers there is also onsite laundry and dryer available for a modest fee – with a big capacity so you can wash all of your clothes in one go! And for the more adventurous travellers who are hiring cars or bikes to explore Panama there is free on-site parking to make your life easier! 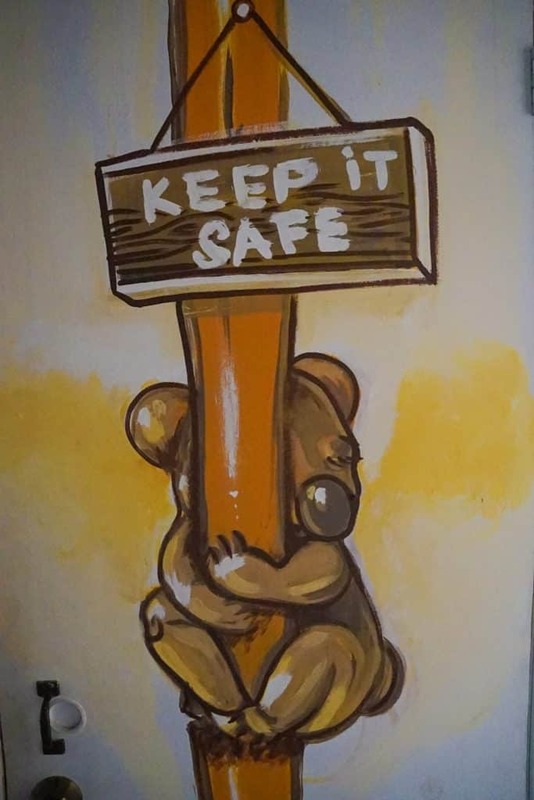 While the building and facilities definately make Casa Native feel more homely, every good traveller knows that it’s the people that really make a hostel – and luckily Casa Native attracts the right type of people. Managed by Karla and Jose, a super friendly couple and a few long-term travellers turned volunteers you can be sure of a welcome greeting and laid back, easy going attitude during your stay here. 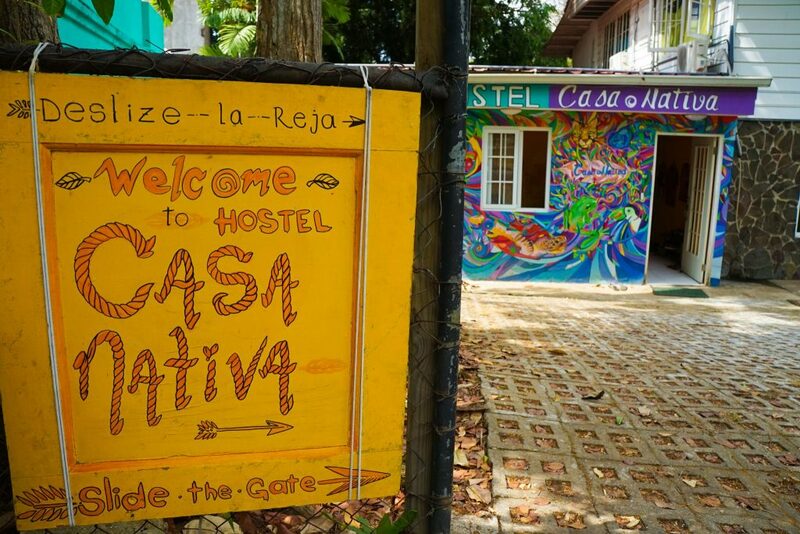 Casa Nativa also seems to be perpetually filled with interesting and creative people who are up to socialize and make plans, but thank-fully it’s not a full on party hostal so if you want to sleep you can! During my one week stay here I meet an American biologist working at a nearby reserve, a guy travelling around the world by boat and a German filming a documentary on climate change in San Blas. It’s just that kind of place! 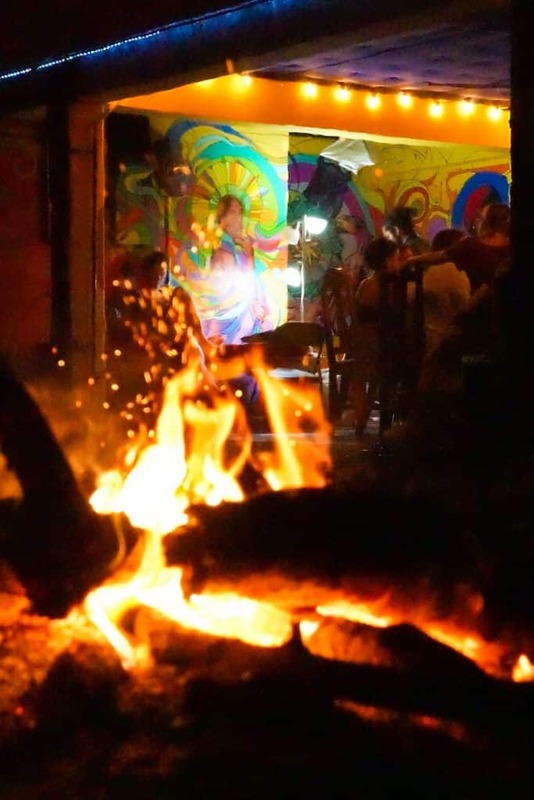 From the moment you arrive you feel you have entered a new family of like-minded travellers whos spirit combined with that of the staff flows through this hostel creating a chilled out oasis. It may sound cliched but I witnessed it again and again: This is the kind of place you go for a couple of nights and end up never being able to leave! The surrounding area Casa Nativa, is –in my opinion – one of it’s biggest draw cards. Located in the historic upper-class neighborhood of Ancon, here you will find a quaint suburban neighbourhood free from tall buildings and chaos. Within a few hundred meters you have two medium sized super-markets and a two restaurants / cafes – all at local prices that you would never see in Casco Viejo (the trendy but barren historic center conveniently located around 15 minutes walk away). 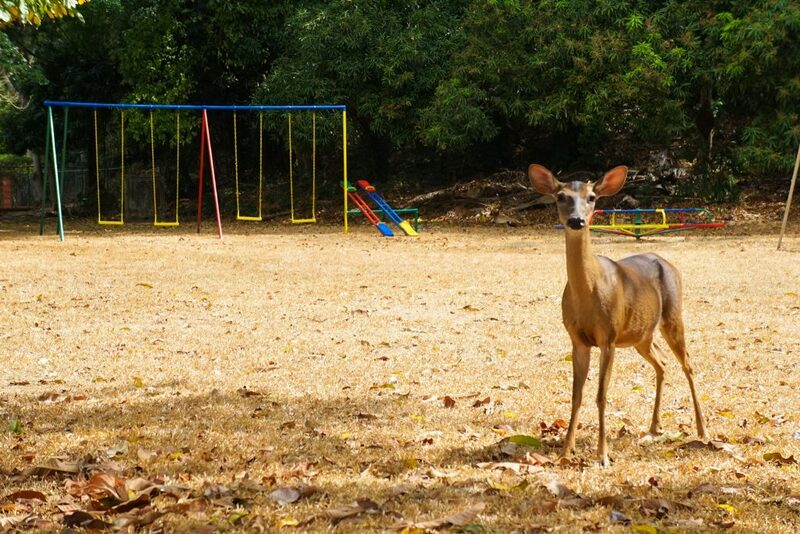 In this neighbourhood you can get a true feeling for what it is like to be a Panamanian local, while exploring the countless parks filled with deer, sloth and armadillos – I’m not kidding! See for yourself! In addition there is a craft beer shop nearby with a crazy huge selection as well as a café overlooking the canal for a cheaper experience than the Miraflores Locks. Be sure to ask about the local fish market option, which is far nicer and less chaotic that its touristy counter-part or for some of the best Italian food you will ever taste. All this and you are a cheap bus ride or UBER away from any of the cities attractions, with UBER trips costing be less than $2-4 USD each time. The Ancon neighborhood sits at the bottom of the famous Ancon Hill with panoramic views of the city and effectively places you at a great hub for exploring each direction of the city. Very safe and quiet, even at night, the area feels like a small village and really makes the location of Hostel Casa Native special. 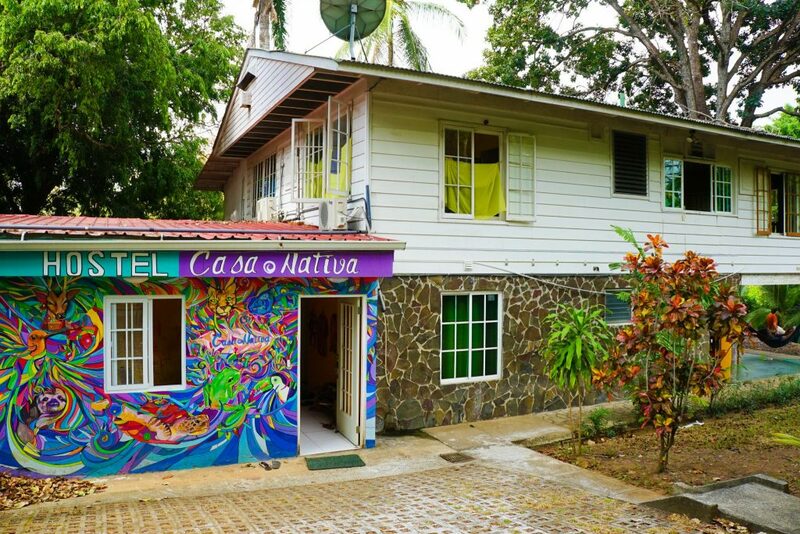 Cas Nativa Hostel Panama City was one of my favourite hostel stays in Latin America and it’s incredibly hard to fault it . 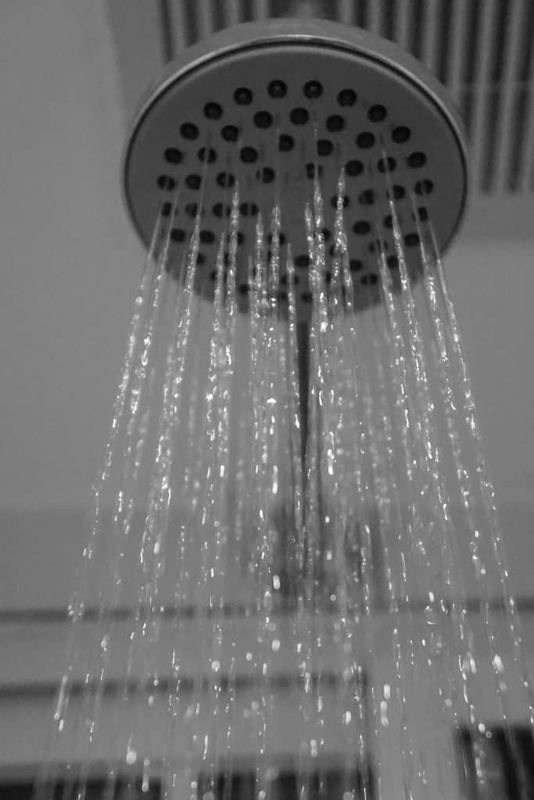 I always say if you have a hot shower, fast WiFi and a clean bed you’re good in my books – and even that is surprisingly hard for most places to achieve. 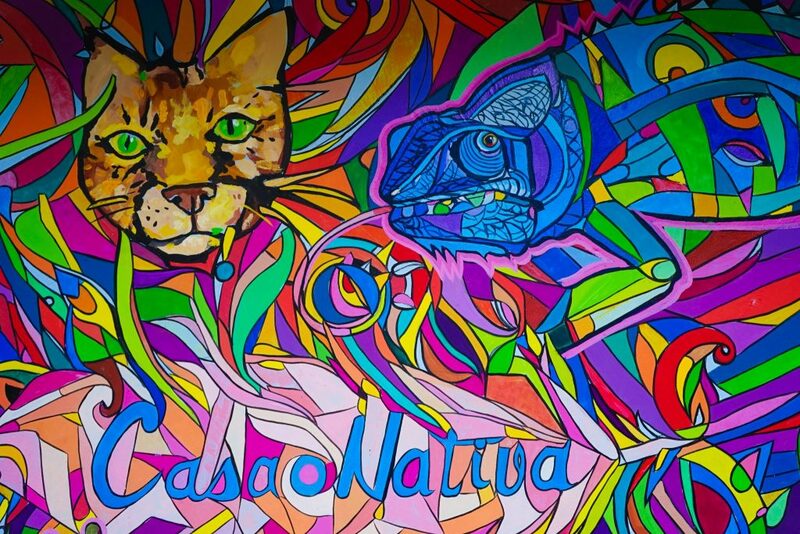 Casa Nativa went well and truly beyond my expectations – helpfully answering every question, providing a delicious breakfast everyday, A/C rooms and of course a fantastic chill out place to relax and get some travel planning done or mingle with other world travellers. 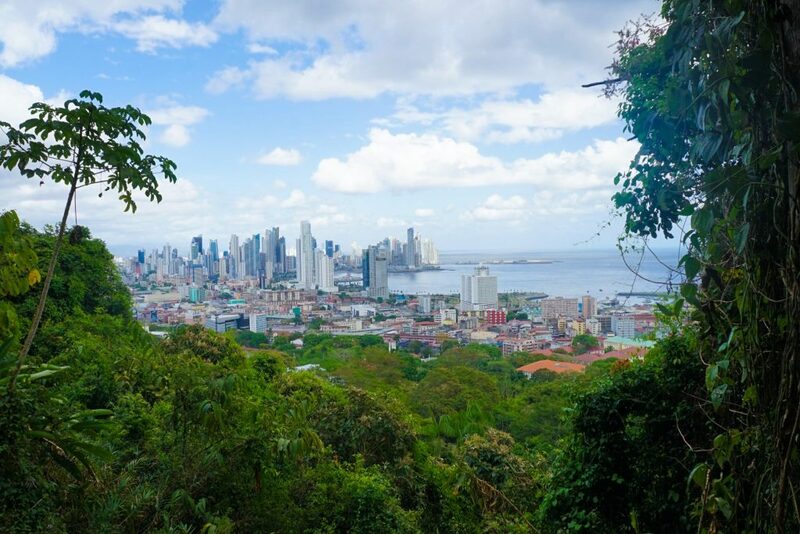 I really enjoyed my time here and would love to come back again, and as such I recommend that you contact Casa Nativa to arrange your stay in Panama City! Dancing under a full moon is mandatory.